"a vibrant community where residents can easily access community parks and beaches through a system of inter-connected trails that provides for recreation, social interaction and nature appreciation." 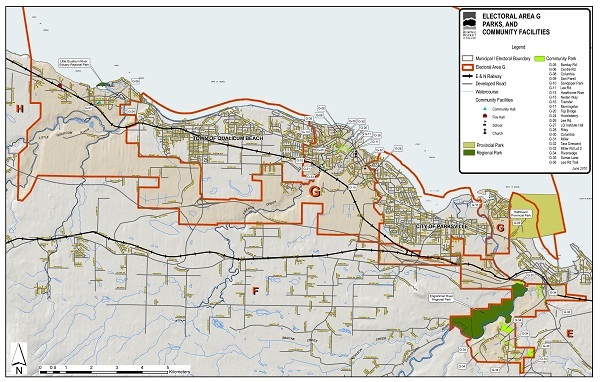 Electoral Area G has 39 community parks (55.4 hectares; 136.9 acres). See map below for existing park locations. For further information on the Community Parks and Trails Strategy (2013) click here.